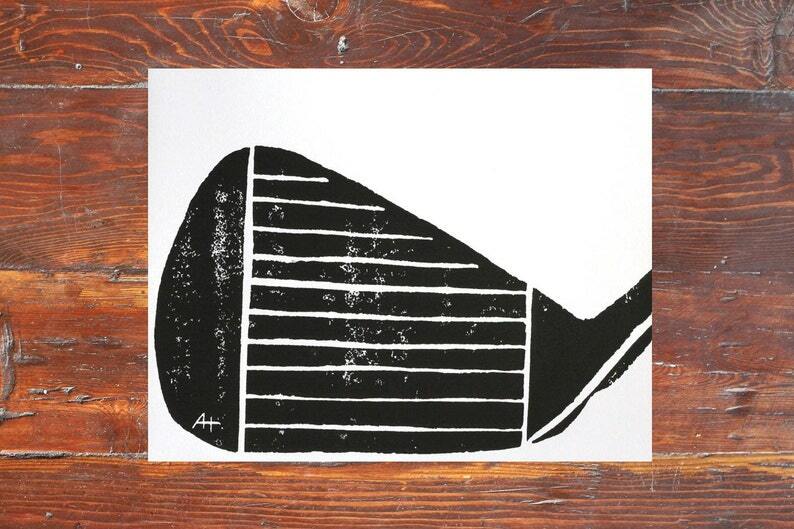 The golf club iron face design was hand-carved by me and applied in black (like a huge stamp) to recycled, white, lightly textured, 96 lb, 11 x14 inch paper. Slip this original art print into a 16 x 20 inch frame matted to fit an 11 x 14 inch print or an 11 x 14 inch frame. 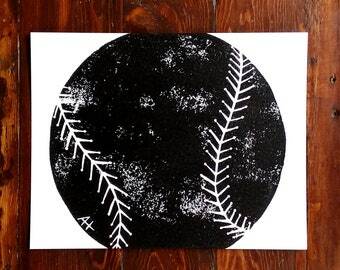 Make it a collection and purchase the "ball and tee" print available here. You are purchasing one Iron Face print, not matted or framed, shipped in a sturdy mailing tube. Exactly as shown, and as expected. Wonderful quality and service with a next day ship shortly before Christmas.